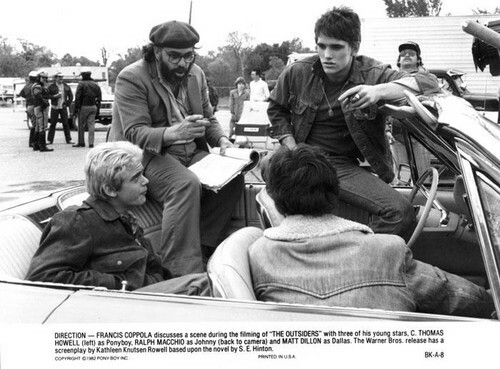 Behind the Scenes. . Wallpaper and background images in the The Outsiders club tagged: the outsiders sodapop johnny darry dally ponyboy two-bit. This The Outsiders photo might contain straat, stad scène, stedelijke omgeving, stad straatbeeld, and stedelijke instellen.